When you’re ready, pop it into the oven for about 15 minutes and let the delicious aroma call everyone to the table to enjoy this easy dish. 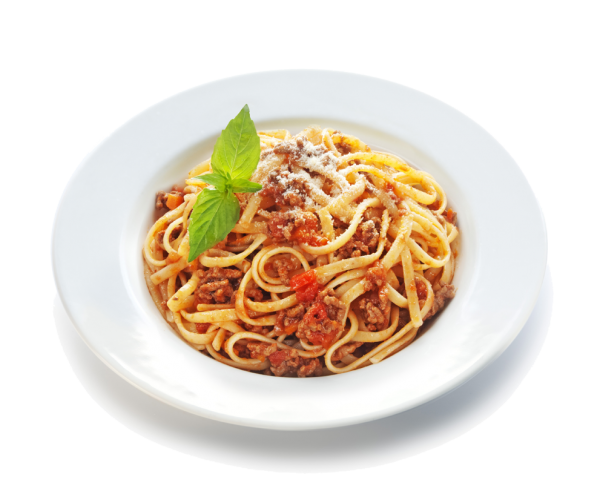 Italian’s are horrified that we Brits put Spaghetti with Bolognese sauce. 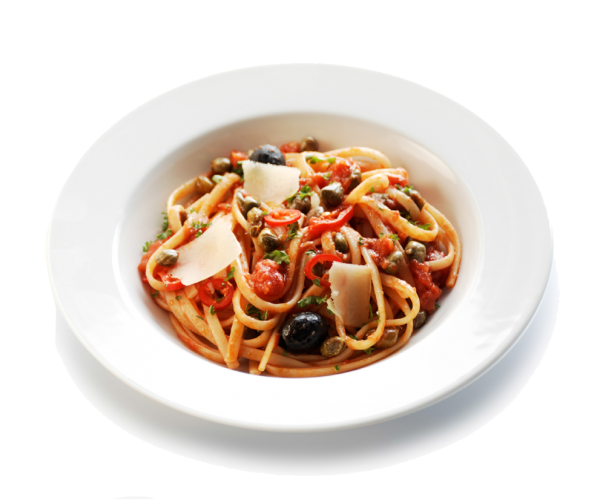 They say it should be a wider pasta like Linguine – which is how it is in our photo :). But we know better, don’t we? 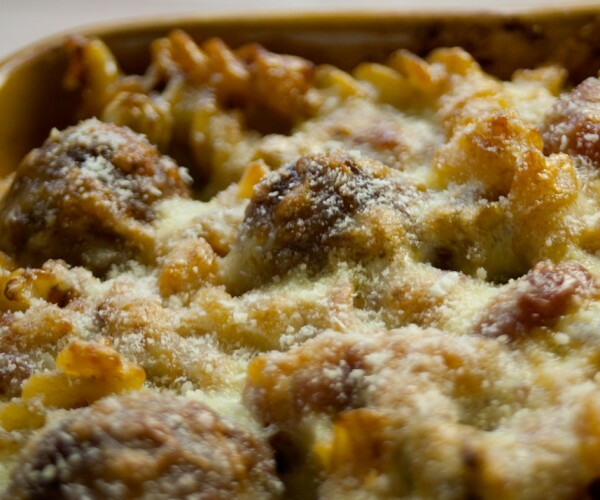 They may make the best pasta, but we know how best to enjoy it. Share your favourite recipe or give this one a try. It takes just a few minutes to prepare, then bubbles happily whilst you do other things… before presenting a feast to the table. It does mean ‘anything goes’ (in effect!) in Italian, so like so many Italian sauces, every household has their own version. Our version adds traditional Italian extras to our authentic Italian Pasta and Tomatoes – a bit different, deliciously so.